Automatically optimizes the delivery of your web pages so your visitors get the fastest page load times and best performance. The system was designed to scale with our goal in mind: helping power and protect the entire Internet. Website traffic is routed through our global network which is powered by 34 data centers around the world. We build our hardware from the ground up, which means that we choose the hardware components down to the chip level. Our proprietary software allows us to process millions of requests per second efficiently. We run our own network, so we choose the exact location of our edge nodes—the most strategic points on the Internet. This is essential to ensure your visitors get the fastest page load times and best performance. CloudFlare designed its CDN (Content Delivery Network) without the legacy of the last 15 years. Our proprietary technology takes advantage of recent changes to hardware, web server technology and network routing. In other words, we’ve built the next-generation CDN. The result is a CDN that is easier to setup, more affordable, and performs better than any legacy CDN you’ve tried before. Global coverage from an Anycast-powered network serving 43 billion queries per day. Lightning-fast look-up speeds and instant DNS updates. Built-in security to protect against DDoS and other web attacks. Powerful functionality with no query limits, easy management and a robust API. Web performance is not just about moving static files closer to visitors, it is also about ensuring that every page renders as fast and efficiently as possible from whatever device a visitor is surfing from.  CloudFlare users can choose any combination of these web content optimization features that take performance to the next level. Online threats range from nuisances like comment spam and excessive bot crawling to malicious attacks like SQL injection and denial of service (DOS) attacks. CloudFlare provides security protection against all of these types of threats and more to keep your website safe. SSL (Secure Socket Layer) is the standard security technology for establishing an encrypted link between a web server and a browser. This secure link ensures that all data transferred remains private. It’s also called TLS (Transport Layer Security). Millions of websites use SSL encryption everyday to secure connections and keep their customer’s data safe from monitoring and tampering.